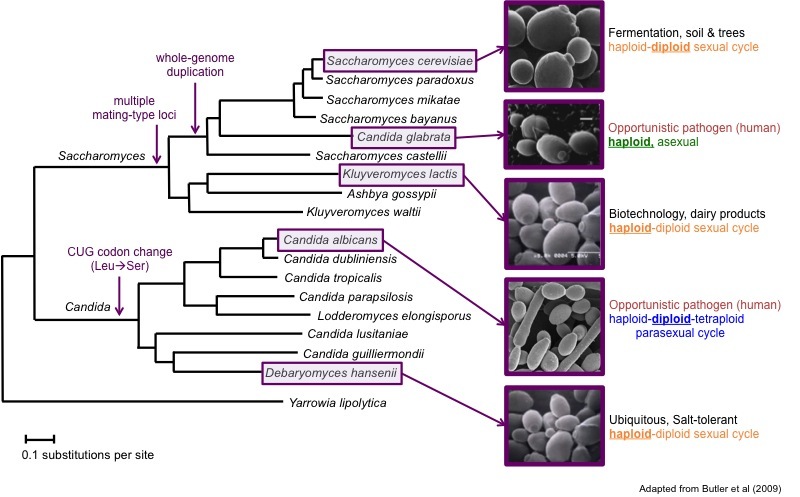 Understanding how eukaryotic pathogens generate genetic and phenotypic variation as a response to antifungal drugs and environmental stresses and has meaningful clinical and evolutionary implications. The Hickman lab employs traditional genetics, experimental evolution, molecular and cellular biology approaches to analyze cell populations under a variety of environmental conditions. 1) What are the consequences of maintaining an asexual, parasexual or sexual lifecycle and the utility (and/or exclusivity) of unconventional ploidy shifts? 2) What are the molecular mechanisms and consequences of genome stability? In particular, what mediates whole-genome ploidy shifts, chromosomal aneuploidy and mitotic recombination to generate the genotypic variation for selection to act upon? 3) Do environmental and stress conditions promote or antagonize these phenomena? 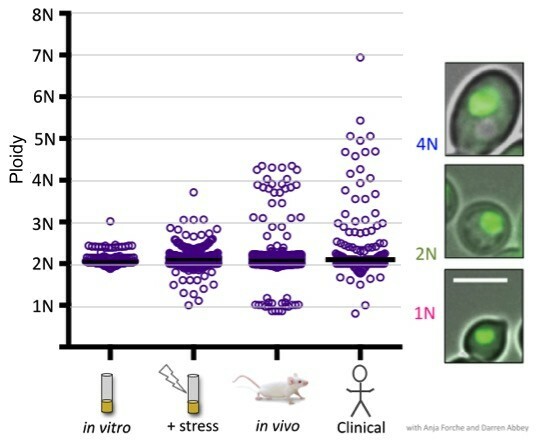 We investigate the genome plasticity of the yeast Candida albicans, a commensal that primarily resides in human gastrointestinal tracts and causes superficial infection in healthy individuals and serious infection in immunocompromised individuals. Such plasticity can lead to the acquisition of antifungal drug resistance. C. albicans, was considered to be an ‘obligate’ diploid organism for nearly a century until recently when a viable haploid stage was discovered (Hickman et al 2013). In addition, tetraploid cells have been recovered after mating between diploid partners as well as isolated from clinical samples. Unlike other budding yeasts, C. albicans does not go through meiosis to reduce ploidy, but rather utilizes stochastic and imprecise concerted chromosome loss processes that frequently result in a heterogeneous population as some cells will have chromosomal aneuploidy and/or homozygosis (Hickman et al 2015). We examine how shifts in ploidy, mediated by sexual cycles in addition to asexual mechanisms promote genetic diversity within a population of cells. These ploidy transitions facilitate large-scale mutations including recombination, aneuploidy and homozygosis of whole chromosomes within a single cell division and fuel rapid adaptation. 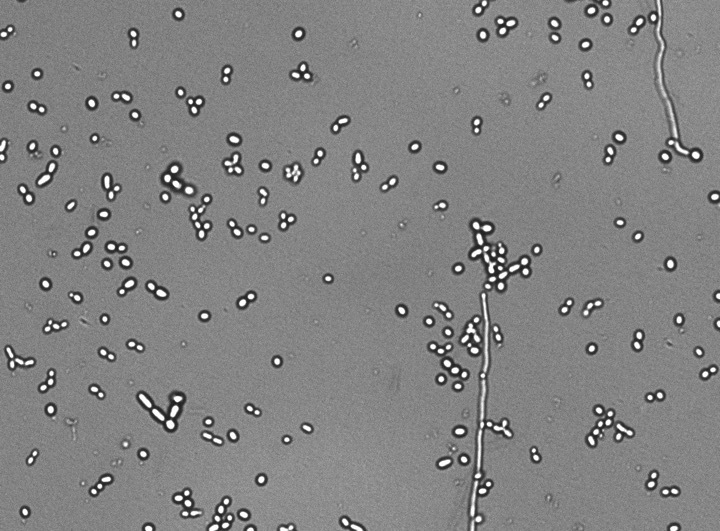 We also utilize experimental comparative genetics by using well-established model and non-model yeasts that display a wide-range of sexual, morphological, ecological and pathogenic lifestyles, yet maintain high levels of genome conservation in order to understand microbial population dynamics as well as the molecular mechanisms by which genome changes arise and their subsequent consequences on fitness.